Concentration. Can’t vs. Won’t. Trinomial Cube. Clause Analysis. Fine Motor Development in YCC. Cube Root. Independence. 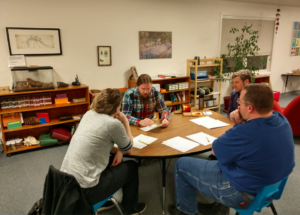 – These are some of the 10 classes offered at the first MSMS Parent Academy earlier this month. 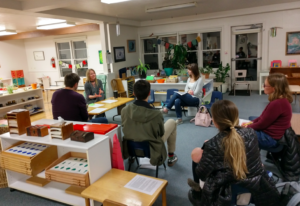 The structure of this all-school parent education night stemmed from an expressed interest by our parents to learn more about the theory and materials that support the children in our classroom. 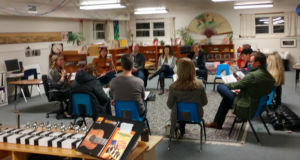 Over 20 MSMS parents selected the classes they were interested in and joined us for the opportunity work with our amazing faculty in a small group setting. How was this different from what you remember from school? Based on this feedback, we will be looking for ways to repeat and expand this format. Please watch for our second MSMS Parent Academy and make plans to attend!